This is a continuation of my very first blog: Possible Misconceptions, Half-Truths, and Saying Regarding the Bible. These sayings are from man and tradition but when we look at the Scripture themselves they speak the Truth. This one will be a little controversial. The Scriptures say that Jesus is the Word or logos of God. The spoken word is rhema and the Scriptures is graphe. Also the word “promise” is Scripture is epaggelia which means announcement and epistolē is epistle or letter in the Greek. 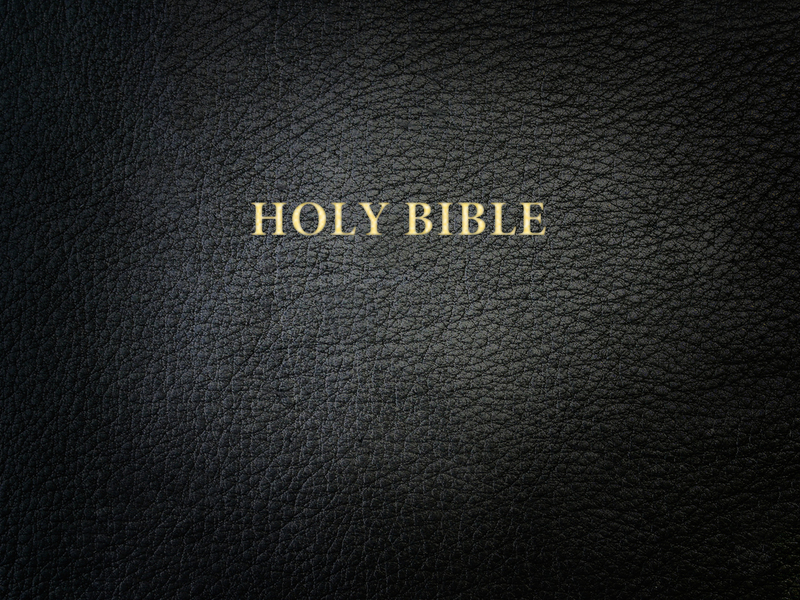 The Bible leads us to Jesus, the inexhaustible, the ever unfolding Revelation of God. It is Christ “in whom are hid all the treasures of wisdom and knowledge,” not the Bible, save as leading to Him. The Bible contains the many “words” of God and also words of many other people who were false and untrue. The Bible is full of thing God doesn’t condone. Not everything the Bible says is true, but all things it says are truly recorded. First off I want to say I am not a theologian nor an exegesis expert. I know of some theological terms and I know they are helpful but I don’t have much passion for them. Pilate also wrote an inscription and put it on the cross. It was written, “JESUS THE NAZARENE, THE KING OF THE JEWS.” 20 Therefore many of the Jews read this inscription, for the place where Jesus was crucified was near the city; and it was written in Hebrew, Latin and in Greek. If Yeshua was the only name He was known by then there would have been no need to display His name is three different languages. Here is a good link to read but it is somewhat lengthy: Yeshua or Jesus? We have all heard it especially in alter calls or evangelism, “Don’t you want to spend eternity in heaven?” Don’t get me wrong, but I do want as many people as possible to make it to heaven…but it isn’t an eternal resting place just as hell isn’t an eternal resting place. So the current heaven will be emptied and a new heaven(s) will be created. Hell and Death both will be cast into the Lake of Fire (Rev. 20:14). But, Glory to God, there will be no new hell! Love never fails; but if there are gifts of prophecy, they will be done away; if there are tongues, they will cease; if there is knowledge, it will be done away. 9 For we know in part and we prophesy in part; 10 but when the perfect comes, the partial will be done away. We know love never fails. We also know the perfect hasn’t come yet. Some may say the perfect is the canon of Scripture but if that were the case then the gifts would have been around since whatever canon you believe in since there were several depending on who you talk to but generally around the AD 300s. I would say most think the gifts have cease because of lack of experience or abuse of the gifts. Many proclaim any gift being expressed is a counterfeit but we all know a counterfeit can only exist with a current legitimate. In my opinion the “perfect” spoken above is when full stature of Christ formed within and after the office gifts have worked themselves out of a job. Another point to consider is that if Apostle and Prophets have gone away then why not Evangelists, Pastors, and Teachers? I was raised believing in the gifts and have also gone faithfully to a cessationist church as well. Both have beautiful people striving to follow God the best they know how. There is abuse with the gifts, no doubt about that but when we expect perfection from others but giving grace to ourselves then we became a Pharisee preaching the letter and not the Spirit. I believe what was written is for us…OT and NT. If the Apostle Paul says that he desire we all speak in tongues and prophesy then I would say we all need it. (see 1 Cor. 14:5) This would indicate that not only did Paul speak in tongues and prophesy but he wanted everyone to do it…even those who were not writing epistles. The gifts of the Spirit are for today and they are for anyone who wants them. If we say there are no gifts then we could say there is no fruit either…because we see some that aren’t walking in the fruit either. Makes you think again doesn’t it? The list above a certainly not exhaustive and each subject listed above could take books or at least many pages of study. These are all only brief explanations on what I would say could be possible misconceptions, half-truths, and saying regarding the Bible. Number 6 is intriguing to me. I’ve considered a similar thought, but took a little different perspective perhaps. I have considered that what we call the New Testament should not be considered the same as the Old Testament. For starters, what many do not realize is that the overwhelmingly large majority of the New Testament is really just additional commentary or explanatory teachings based on Old Testament proof texts. There isn’t anything actually “new” taught in the New Testament, other than the proclamation that Yeshua was the Messiah. Even the idea of Gentiles being grafted in without requiring circumcision or Jewish conversion was not actually new, but only an alteration or revelation of the OT scripture in Genesis based on the story of Abraham.